The certificate recognising the Temple of Le Hoan as a special national relic site is presented on April 12. 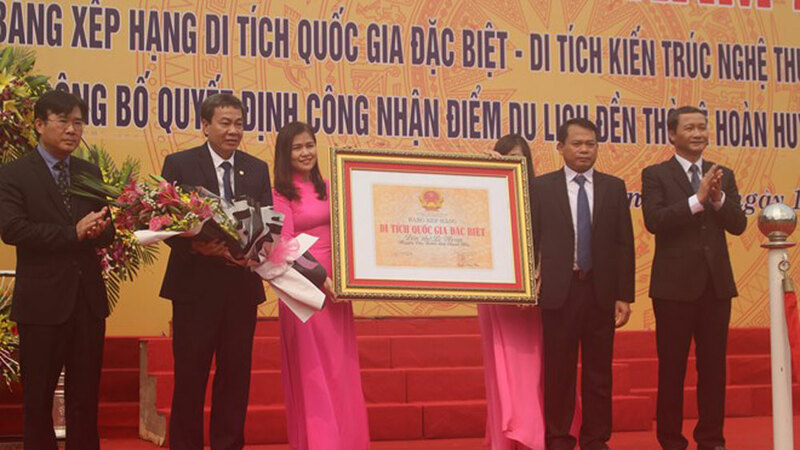 The Ngu Hanh Son (Marble Mountains) landscape in the central coastal city of Da Nang received the national special relic certificate at a ceremony held by the Ministry of Culture, Sports and Tourism and competent authorities in the city on January 20. The Hue Monuments Conservation Centre is partnering with US Seagate and CyArk companies to digitalize data of two heritages of Tu Duc Tomb and An Dinh Palace, Director of the centre Phan Thanh Hai said on January 9. Ngu Hanh Son (Marble Mountains) landscape site in the central city of Da Nang has been recognized as a national Special Relic, one of the 16 approved by the Prime Minister recently.